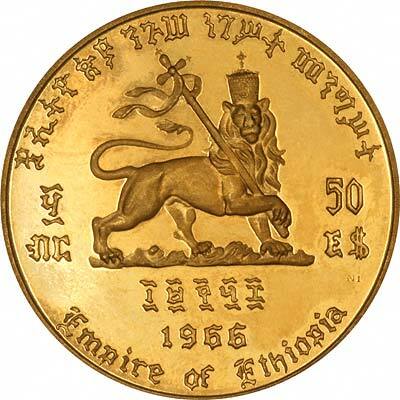 Ethiopia can boast the oldest civilisation in Africa, and the oldest independent nation. It has been in existence for about 2,000 years. 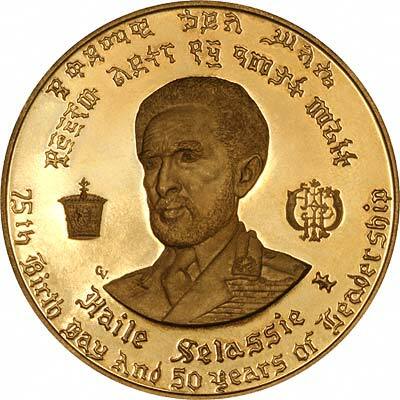 Menelik I, one of the sons of King Solomon is believed to have in Axum in about 7 AD, established the dynasty which had, apart from a brief period of rule by Italy from 1936 to 1941, ruled Abyssinia as it was previously called, until 1974, when Haile Selassie was overthrown by a military committee. 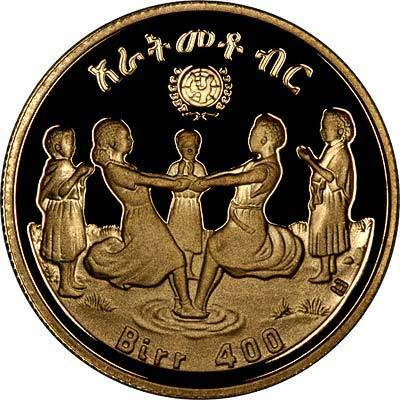 Axum (or Aksum) was also the world's first Christian state. 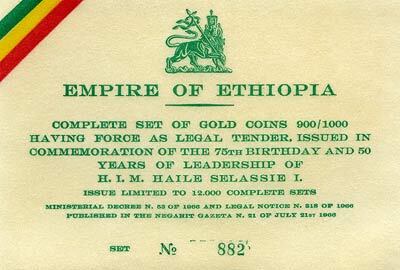 Under Menelik II, who reigned from 1889 to 1913, Ethiopia emerged from its medieval existence into a modern state. 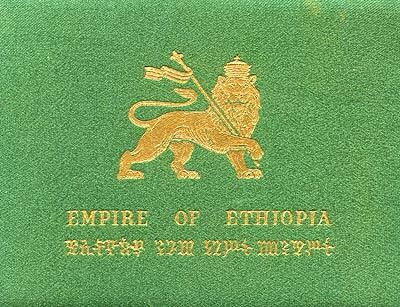 In 1991, Ethiopia becama a federated state known as the Federal Republic of Ethiopia. 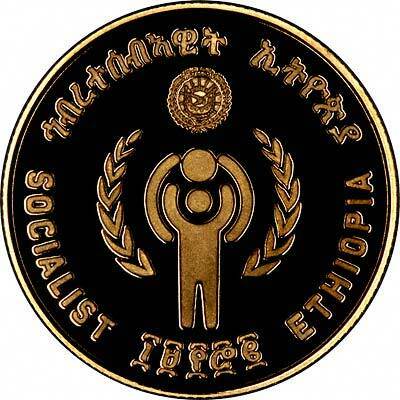 In 1993, Eritrea, occupying the northern coastal strip, broke away, and was formally recognised by a peace treaty on December 12th 2000. 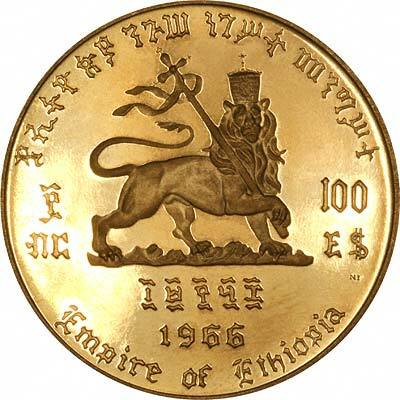 Gold coins of the Kingdom of Abyssinia are denominated in "werk" or "birr", those of the Empire of Ethiopia are in dollars. Since the People's Democratic Republic they are now denominated in birr. All price subject to fluctuation. Please check current pricing and availability before ordering. 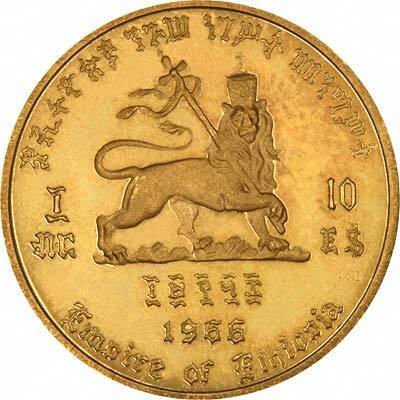 For silver and base metal coins of Ethiopia, please look at our original Chard Coins website.